"I Disagree with Your Judgment of Conversations With God"
My name is ______ and I am a devotee of the Conversations with God philosophy. I noticed you are not a fan of the books or beliefs in the CwG series . I respect the fact that you have an opinion on this and express it openly, however, your claims that the books are “false doctrine of devils” and “very unsafe in anyone’s hands” are not supported. Why do you feel they are “evil” and dangerous? Perhaps because people may change their minds about religion after reading them? If this is so, you say that your religion does not allow freedom of thought nor disagreement with your beliefs. You proclaim that the Bible is God’s ultimate truth and that any writings against the holy scripture (even the Qur’an, which includes both the New and Old Testament) are “wrong”. Correct me if I am mistaken, but isn’t your God’s wish that each person come to her of their own volition? If nothing but obediance to pre-set rules is required, what then is the purpose of life? I wonder if you are aware that most sections of the Bible were written as many as 200 years after the ascension of Jesus. That leaves a lot of room for error, especially in light of the fact that the Bible was written by humans (whom are inherently imperfect according to your beliefs). Are you familiar at all with a Red Bible? It is a copy of the Bible where all direct quotes from Jesus are printed in red and all other words in black—more than 90% of a Red Bible is black print. This means that over 90% of the Bible is subject to the opinions and cultural influences of those who wrote it. It is said in CwG Book Two that even this most recent missal from God is not entirely pure because any human will “filter” the message through his own perception (Neale Donald Walsch is no exception). …however, your claims that the books are “false doctrine of devils” and “very unsafe in anyone’s hands” are not supported. Why do you feel they are “evil” and dangerous? Perhaps because people may change their minds about religion after reading them? Let me put it this way. Let’s say someone has a recipe for brownies that her mother gave her, which she got from her mother, and which she got from HER mother. But this person starts tinkering with the recipe. Instead of baking soda, she puts in arsenic. They’re both powder, and you don’t use very much of either, so what’s the problem? The problem is that brownies made with arsenic kill people. 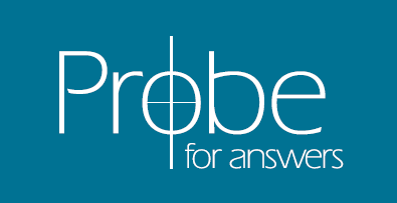 At Probe Ministries we come from a definite position on the Bible: it really is true, and it really is without error, and it really is the word of God. We don’t believe this because we’ve just been taught it; we believe it because there is such strong evidence for it. There are a number of articles on our Web site about the reliability of the Bible. If someone writes something that claims to be spiritual truth, and it contradicts the Bible, then either this other writing is false, or the Bible is false, but they cannot both be true. As I’ve already said, we place our faith in the validity of the Bible, so our position is that books such as Conversations with God are evil because—even if they say a lot of nice and true things—they make false statements about God, about truth, about sin, and about the consequences of departing from what is true. In the exact same way that eating arsenic-laced brownies will cause physical death, “swallowing” books like CwG can cause spiritual death, which is separation from God. People changing their minds about religion is not a problem; that’s how ALL of us here at Probe came to become believers in Jesus Christ. We all changed our minds. But when people discard what is true and embrace a lie as a result of reading books like Walsch’s, THAT is a problem. Or, when people don’t even know what is true but they embrace the lie, that is also a problem. If this is so, you say that your religion does not allow freedom of thought nor disagreement with your beliefs. Actually, biblical Christianity gives a lot of room for disagreement within the confines of what is true and important. And it is very clear that no one can force another person to believe or conform from the heart, even to what is truly true. If this were the case, God would never have given us as His creation the gift of choice, which includes the freedom to think whatever we want. I can tell you, as a biblical, orthodox Christian, that Christianity very much allows you as an unbeliever to believe whatever you want and to disagree with me as much as you want. You have that right. What you—and I, and everybody else on the planet—don’t have the right to, is to be free from the consequences of believing wrong things. Such as believing that gravity can be suspended at will. Or believing that arsenic and baking soda are interchangeable. Or believing that a person can violate what God has said in His word and there are no consequences. You proclaim that the Bible is God’s ultimate truth and that any writings against the holy scripture (even the Qur’an, which includes both the New and Old Testament) are “wrong”. Excuse me, but the Qur’an may contain points and elements from both the New and Old Testament, but that doesn’t it make it holy scripture. Correct me if I am mistaken, but isn’t your God’s wish that each person come to her of their own volition? Second, you are absolutely right about His desire that we turn to Him in faith. However, Jesus also told us that no one can come to God unless He calls us to Him first. This is because we come into the world spiritually dead—it’s like getting a radio with no antenna. It takes a miracle for anyone to hear Him calling to us. If nothing but obedience to pre-set rules is required, what then is the purpose of life? I would respectfully disagree that “nothing but obedience is required.” The purpose of life is to enjoy God, to love Him, to bring glory to Him, and to walk out His plan for our lives. The kind of obedience that pleases God comes from a heart that is tuned to Him first. God’s desire is that we be in a love relationship to Him. That’s very different from a callous God who demands we jump through hoops to please Him. I would suggest that that kind of God is a caricature and not the true, living God. I wonder if you are aware that most sections of the Bible were written as many as 200 years after the ascension of Jesus. And I’m wondering if you know where this information came from. There are skeptics who dismiss the early dates of the New Testament because they don’t want to believe in the validity of the New Testament documents. There are also plenty of biblical scholars who accept the evidence for first-century dates. People believe what serves their presuppositions. Did you know there are people who deny the Holocaust happened? Does that make it go away? Those who insist on later dates for the New Testament, and who deny the authorship of all the gospels and epistles, do so because they have an agenda. That leaves a lot of room for error, especially in light of the fact that the Bible was written by humans (whom are inherently imperfect according to your beliefs). I would say that the Bible was PENNED by humans, but this book makes the amazing claim to be the very word of God, who “breathed” His words into the minds and spirits of the human writers. And its remarkable internal consistency, combined with the fact that there is so much fulfilled prophecy, not to mention the power to change lives as testified by millions of people, is strong evidence that it really is the word of God. God would be very interested in making sure that His communication stayed pure, don’t you think? And since we still have the original languages (still spoken today) with thousands of copies of the biblical documents that we can go back and check, there is good reason to trust the Bible. What evidence do you have for error? Are you familiar at all with a Red Bible? It is a copy of the Bible where all direct quotes from Jesus are printed in red and all other words in black—more than 90% of a Red Bible is black print. This means that over 90% of the Bible is subject to the opinions and cultural influences of those who wrote it. It is said in CwG Book Two that even this most recent missal from God is not entirely pure because any human will “filter” the message through his own perception (Neale Donald Walsch is no exception). We all filter EVERYTHING through our own perceptions. But that doesn’t change the truth of what’s in the Bible. There are several questions we must ask when we read the Bible: far more important than “What does this mean to me?” is “What does this mean? What did the author intend to communicate?” There are ways of answering those questions that allow us to be fairly certain, much of the time, that we’re getting a pretty accurate handle on what was meant. We all have our filters, but it’s not that hard to remove them. What kind of filter do you use when you read the label on a medicine bottle? I would imagine that, like me, you don’t try to figure out “what does this mean to me?” but “what did the doctor intend here?” and it’s usually not very hard to figure out. I find it very interesting that Neale Walsch appears to makes the claim that this is a communication from God. If that were so, why does it contradict what God has already said in black and white? And if one takes the position that we can’t trust what’s in the Bible because of all the alleged errors and cultural filters, what CAN we trust? How do we know what is true? Why should we believe Neale Walsch’s writings? Why should we believe anything at all? And I honor you as a creation of God, made in His image, and much beloved by the God and Father of us all. Cohabitation - A Biblical, Christian Worldview Perspective"How Does Christians' Singing Hallelujah Differ From Hindu Chanting?"